When a phone is restarted the system broadcasts ACTION_BOOT_COMPLETED to all the apps that have the RECEIVE_BOOT_COMPLETED permission. In this article, we will learn how to make our app listen to phone restarts. 1) Add permission to the AndroidManifest.xml file. 2) Create a broadcast receiver and add ACTION_BOOT_COMPLETED intent filter to receive the broadcasts. That's it, the onReceive is called whenever the device is restarted. We can start the alarms or start a foreground service, JobIntentService, WorkManger for long running tasks. The lifespan of a broadcast receiver is 10 seconds, so, avoid any time consuming tasks in the onReceive method. There is another broadcast similar to ACTION_BOOT_COMPLETED that notifies the apps that the device is restarted, its called ACTION_LOCKED_BOOT_COMPLETED. There are few differences between both the broadcasts. When ACTION_LOCKED_BOOT_COMPLETED is broadcasted on 24+ versions, the device is started but the screen is still in the locked state and when ACTION_BOOT_COMPLETED is broadcasted, the device is started and the screen is unlocked by the user. Until the screen is unlocked (i.e., when ACTION_LOCKED_BOOT_COMPLETED is broadcasted and ACTION_BOOT_COMPLETED is yet to be broadcasted), the apps can only access device protected storage. So, take these limitations into consideration when listening for ACTION_BOOT_COMPLETED and ACTION_LOCKED_BOOT_COMPLETED. 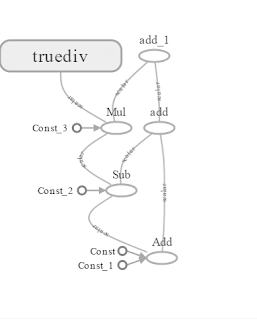 In this article, we will learn about basic arithmetic operators supported by the Tensorflow. We will also perform these operations on the tensors and create a computational graph which can be viewed with the help of the Tensorboard. 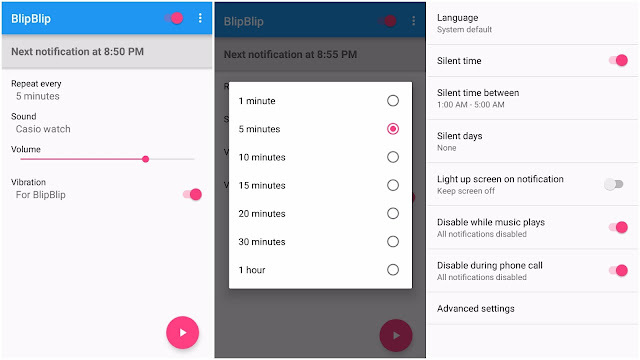 If you're someone who likes the hourly sounds that are made by watches or wall clocks every hour then you might show interest in an app like the Blip Blip. This app brings the hourly chimes feature to Android. The app is build by Paweł Nadolski and is available for free in the Google Play Store with no In-app purchases. Blip Blip app has a simple UI and it notifies you every hour with a sound. Currently, the notification sounds have 6 variations and its creator mentioned there is more to come. In addition to the sound, you can also enable vibration. You can turn the app on off from its main screen. Once on, the notification repeats every hour or you can set for shorter times. You can check the upcoming notification times for almost a week and if you don't want the app to notify you in the night or any other specific time then you can set the silent time in settings. In addition to that, you can also add silent days. 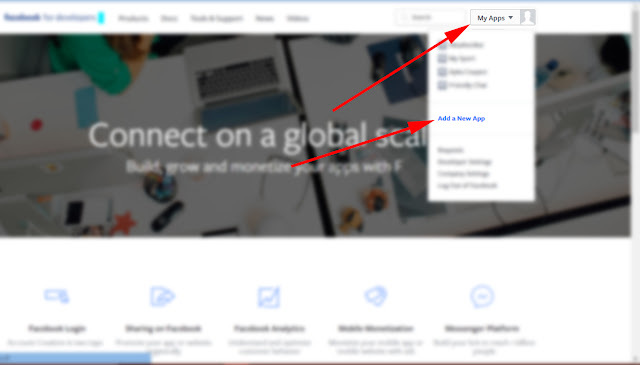 In this tutorial, we will learn to create a Facebook app. To get started, you need a Facebook account. 1. Go to Facebook for developers website and log in if you haven't logged into your account. 2. In the top right-hand corner, hover over My Apps and click Add a New App. 3. Enter the name of the app, contact email and click Create App ID. That's it, you'll be taken to the Product Setup page. Here you can integrate various products offered by Facebook. Srikar Reddy is working as the Senior Android Engineer at a fast-growing Fintech Startup. He so far spend 4 years with the Android Ecosystem building multiple application and libraries for both B2C and B2B clients.